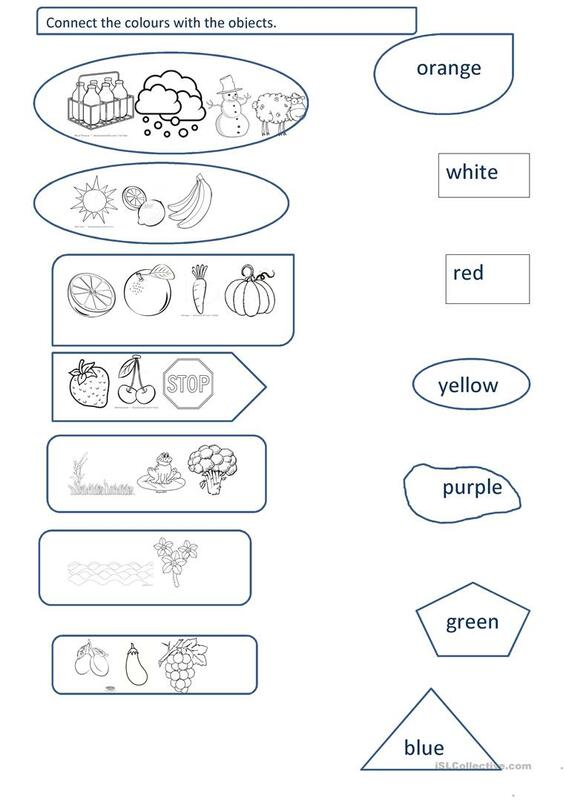 this worksheet is aimed at learning colours to young pupils at an elementary level. The Ss are supposed to read out the colours on the right and connect them with the appropriate group of pictures on the left. They can also name the things in the pictures as well as practice speaking while saying sentences of the type: A snowman is white and a forget-me-not is blue. In the end they can colour all the pictures. The present downloadable handout was created for elementary school students and kindergartners and nursery school students at Beginner (pre-A1) and Elementary (A1) level. It is useful for developing your groups' Speaking and Reading skills. It features the topic and words of Colours. lalivian is from/lives in Poland and has been a member of iSLCollective since 2014-03-26 21:30:46. lalivian last logged in on 2019-04-02 06:21:15, and has shared 3 resources on iSLCollective so far.